We have been servicing fireplaces and chimneys for over twenty years and there is just a standard to the job that has to be done in order for the chimney to be clean. One of the most important things is that the damper in a fireplace is removed so the smoke shelf can be cleared of all the creosote and debris. We understand that in todays economy sticking to a budget is important so if other companies are doing this for you then we will match their price! 1) Show up in lettered vehicals and professional marked clothes. 2) Tarp work area to protect from soot and have industry specific vacuum to control any dust. 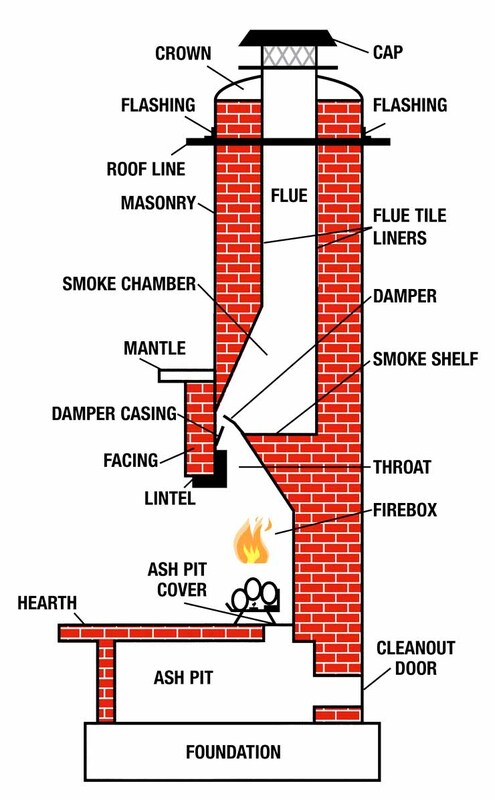 4) Sweep back, front & sides of throat of Chimney and entire length of the flue tiles from bottom inside house. 5) Scrape creostoe and debris from the smoke shelf. 6) Remove all old ashes and remaining creosote from the firebox. Copyright All Points Chimney, Stoves & Fireplaces, All rights reserved.